Like July, August has been crazy busy. But unlike July, August has been all about my Australians. "My Australians," whom I have known for more than half my life, are a delightful couple named Kerrie and Greg, as diligent readers may remember from previous posts. Along with their two sons, they were my host family when I visited Australia on an exchange program in 1990. Eighteen years -- and three more trips I made down under -- later, they were finally able to plan a visit to this hemisphere. They are staying with us in Ohio for about a week and half, bookended by side trips to New York and Canada. It has been wonderful having them here, showing them around, introducing them to our friends and favorite restaurants and sites. Kerrie and Greg keep mentioning how lucky we are to live in Ohio, and I keep reminding them that -- hello -- they live in Sydney, Australia. Needless to say, we spent many weeks prior to their arrival trying to make sure that the house was in perfect working order, and perfectly clean. Every odd job that we have been putting off for years suddenly got moved to the very top of the to-do list. We replaced the missing window screens. We purchased and installed new, sleek house numbers. We steam-cleaned the carpets and sofa. We replaced the heinous window treatment in the guest bathroom. For that matter, we replaced the old and ugly brass towel bar, toilet paper holder, shelf, light fixture and cabinet pulls in the guest bathroom with shiny new chrome fixtures that match the fancy hardware in the antique claw-foot tub. I organized my basement office and -- gasp! -- finally moved the bag of outdoor Christmas lights from its perch on my desk to its proper storage space. (It is only August; no need to rush.) We repaired a mysterious hole in the floor of the upstairs landing, revealing what appears to be original hardwood floors. We deadheaded all the irises, peonies and daylilies. We painted the floorboards on the porch. For goodness' sake, we even painted the front door blue. Because, you know, I'm sure Kerrie and Greg would have turned right around and flown back to Sydney had the front door remained a faded shade of burgundy. I knew the Daring Bakers' August challenge posting day was August 31, and I knew based on Kerrie and Greg's itinerary that I would have to complete the challenge early, lest I be bogged down by a time-consuming recipe the day before they are scheduled to leave. So one night several weeks ago, after working all day to organize the pantry, wash and press the bed skirts and plan the menu for the welcome-to-the-U.S. party we planned for the Australians, I got to work making éclairs. Yes, éclairs. The August Daring Bakers' challenge. I did not start on the recipe until about 9:00 p.m. that night. Which means at about 11:30 I was driving across town to deliver finished éclairs to Mom and Dad so the treats did not go to waste (Husband and I can only eat so many -- though considering his marathon training, Husband can eat a lot more than I can). Thankfully Mom and Dad did not mind being force-fed éclairs late in the evening. However, even if you have a hungry and receptive late-night audience of eaters, I do not recommend making éclairs at that hour -- not because they are particularly difficult or time-consuming, rather because éclair-making requires a lot of saucepans that you might not feel like washing after midnight. But if you are getting your house ready to host international visitors and can only carve out a few late-night hours for the task, well, there are certainly worse ways to spend a Saturday night. The recipe comes from Pierre Hermé and appears in Chocolate Desserts by Pierre Hermé, by Dorie Greenspan. The recipe as written includes the traditional cream puff dough, otherwise known as pâte à choux, chocolate pastry cream and chocolate glaze. This month's Daring Baker hosts -- whose task is to choose the challenge recipe and lay down the law regarding ingredient substitutions, etc. -- stipulated that we had to keep at least one chocolate element in the recipe but were otherwise free to experiment. I kept the chocolate glaze and made some chocolate pastry cream, but also made some peach pastry cream. I had purchased some particularly luscious peaches at the farmers' market and thought they would bring a lightness and summery yumminess to the whole éclair endeavor. And, damn, was I right. Now, I love chocolate. Love it. Love chocolate cake with chocolate frosting and chocolate ice cream. Love ganache and truffles and chocolate bars. Love chocolate chips and Nutella. Love Tim Tams. Love Cadbury. Love chocolate-covered pretzels. Love, love, love. So one might imagine that I would have loved the whole-hog chocolate approach to these éclairs. Yes, the ones I filled with chocolate pastry cream were delicious but -- seriously! -- the peach ones were even better. They were so refreshing and subtly sweet and...peachy that I could not get enough of them. The light and hole-y pâte à choux was the perfect doughy home for the lovely peach pastry cream, while a sparse coating of glaze was justenough of the good stuff to meet the chocolate requirement without overpowering the fruit. Though I was relieved to have completed the challenge early, my heart sank a bit when Kerrie arrived and told me how much she loves éclairs. And I was already done with the challenge. And so it goes. I made chocolate pastry cream as well as peach pastry cream, and filled some éclairs with chocolate, some with peach, and some with half-chocolate and half-peach. The next time I make this recipe, I am going all-peach. Please note: if you wish to use only chocolate -- or only peach -- double the pastry cream recipe of the flavor you wish to use. The pastry cream can be made a day or two ahead of time, then stored in a covered container in the refrigerator. The chocolate sauce can also be made a few days in advance; just reheat it over a double boiler when you're ready to use it. A word to the wise: have lots of saucepans on hand when you make this recipe, or at least be prepared to wash and dry your pans several times over the course of éclair preparation. Preheat the oven to 375 degrees Fahrenheit. Divide the oven into thirds by placing the racks in the upper and lower halves of the oven. Line two baking sheets with Silpats or parchment paper. In a heavy-bottomed saucepan, bring the milk, water, butter, sugar and salt to a boil over medium-high heat. When the mixture is at a rolling boil, add all of the flour at once. Reduce heat to medium and start to stir the mixture vigorously with a wooden spoon. The dough comes together very quickly; don't worry if a crust forms in the bottom of the pan. Stir for 2-3 minutes to "dry" the dough. The dough should be very soft and smooth. Transfer the dough to the bowl of a stand mixer fitted with the paddle attachment. With the mixer on medium speed, add the eggs, one at a time, beating after each egg is added to incorporate it fully into the dough. After the eggs have been added the dough should be thick and shiny and when lifted should fall back into the bowl in a ribbon. Fit a large pastry bag with the nozzle and coupler, but without a tip. Alternatively, you can use a pastry tip with a 2/3" diameter, but I couldn't find one in my local cake decorators' shop. I found that a tip-less bag worked perfectly. Fill the pastry bag with the warm pâte à choux. Pipe the dough onto the baking sheets into chubby "fingers" about 4 1/2" long. Leave about 2" between each éclair. Place both baking sheets in the oven and bake for 7 minutes. After the 7 minutes, slip the handle of a wooden spoon in the oven door to prop it open slightly. Bake for 5 minutes with the wooden spoon in the door, then rotate the baking sheets top to bottom and front to back. Bake for 8 more minutes -- again with the wooden spoon in the door -- until the éclairs are puffed and golden. (The total baking time is 20 minutes.) Remove the éclairs from the oven. With a small paring knife, cut a 1"-long slit in the side of each éclair to enable steam to escape and prevent the éclairs from deflating. Place on a rack to cool. Fill a large bowl about half-way with ice water; set aside. In a medium bowl set over a saucepan of simmering water, melt the chocolate. Set aside. In a small saucepan, bring the milk to a boil. In the meantime, place the egg yolks, sugar and cornstarch in another saucepan and whisk to combine. Once the milk has reached a boil, temper the yolks by whisking a few tablespoons of the hot milk into the yolk mixture. Continue whisking and slowly pour the rest of the milk into the tempered yolk mixture. Using a wire-mesh sieve, strain the mixture back into the saucepan to remove any egg that may have scrambled. Place the pan over medium heat and whisk vigorously without stopping until the mixture returns to a boil. (It has a way of burning as soon as you turn your back on it, so make sure to keep whisking until the boil.) Once it has reached a boil, continue whisking for 1-2 more minutes. Then, stir in the melted chocolate and remove the pan from the heat. Place the chocolate pastry cream -- still in the saucepan -- in the ice-water bath to stop the cooking process. Stir it a little more so that it remains smooth. After a few minutes (when the pastry cream has reached a temperature of about 140 degrees Fahrenheit) remove the saucepan from the ice-water bath and stir in the butter. Return the pastry cream to the ice-water bath to cool completely, stirring occasionally. The pastry cream is now ready to use. Place the peaches and 1 T. of water in a medium saucepan and cook over medium heat for about 8 minutes, until the peaches are soft and heated through. Use an immersion blender or a regular blender to puree the peaches. Set aside. Using a wire-mesh sieve, strain the mixture back into the saucepan to remove any egg that may have scrambled. Place the pan over medium heat and whisk vigorously without stopping until the mixture returns to a boil. (It has a way of burning as soon as you turn your back on it, so make sure to keep whisking until the boil.) Once it has reached a boil, continue whisking for 1-2 more minutes. Then, stir in the peach puree and remove the pan from the heat. Place the peach pastry cream -- still in the saucepan -- in the ice-water bath to stop the cooking process. Stir it a little more so that it remains smooth. Place all ingredients into a saucepan and bring to a boil over medium heat, stirring constantly. Reduce the heat to low and stir frequently until the sauce thickens, which will take 10-15 minutes. The sauce is ready when it coats the back of a spoon. Note: you will have chocolate sauce leftover. Use it on, well, anything. Like I need to tell you what to do with chocolate sauce. Bring the heavy cream to a boil in a small saucepan. Remove from heat and add the chocolate, stirring to combine and melt the chocolate. Then stir in the butter and the chocolate sauce. OK! Time to make the éclairs. Slice the cooled éclairs horizontally using a serrated knife and a gentle sawing motion. Set aside the bottoms and place the tops on a rack over a piece of parchment paper or a baking sheet. Spread the chocolate glaze over the tops of the éclairs using a spoon or a metal offset spatula. Spoon the chocolate pastry cream and the peach pastry cream into the bottoms of the éclairs. Fill some with all chocolate, some with all peach and some with half-chocolate and half-peach. Place the glazed tops onto the pastry-cream-filled bottoms and, well, eat! The éclairs should be served and enjoyed immediately. I grow tomatoes. Lots of tomatoes. There are many reasons why I spend my summers planting, pruning, staking, cultivating, feeding and generally stressing over 30+ tomato plants. Of course, there is the incomparable taste of a crimson red, perfectly ripe tomato picked straight off the vine, then sliced and enjoyed with a sprinkle of salt while it's still warm from the August sun. A tomato you grow yourself is an entirely different creature from a tomato that you buy in the grocery. I hesitate even to call them the same species. A homegrown tomato is a sweet jewel, succulent and juicy and deeply flavorful -- smoky, even. A tomato from the grocery is a pale, mushy, mealy, bland imitator. Homegrown tomatoes everywhere should be up in arms, picketing local markets in opposition to their $3.99 per pound inferior fruits. But tomatoes are not sentient beings with thumbs -- let alone arms -- so I will have to do the advocating for them. So, taste. The first and most important motivation for my tomato garden is flavor. But there's also tradition. I view my tomato garden as an homage to those who have come before me, who gardened not only for the joy of it but also because growing their own food was a necessity as people of limited means. People like my great-grandparents, Dad's grandparents. Grandpa Masterson (pre-Ellis Island name: Mastroianni) filled his backyard with tomato plants because he was a fine Italian man who appreciated a good tomato. He was also a poor Italian man who could make the fruits of his labor feed his entire family for several seasons. I grow tomatoes because Grandpa Masterson grew tomatoes. I utilize his methods, which he taught my father and my father taught me. When I prune off the suckers and hoe around the roots and tie up the rapidly-growing vines with scraps of old pantyhose, I feel the weight of my family's tradition. This seems melodramatic. It is not. Being close to the earth brings me close to my family. And even though Grandpa Masterson lived to a ripe old age, my own grandparents did not. Carrying on a time-honored Masterson tradition allows me to "know" my grandparents, even though I did not know them very well. I am doing something that they, through my father, have taught me. I am an extension of their growing traditions, their need and desire to gain sustenance from the earth under their feet. Also, homegrown tomatoes taste good. Have I mentioned that? When you have more than 30 tomato plants, you by extension will have a lot of tomatoes. I can think of few things more tragic than to let them rot on the vine, or go to waste in any way. So of course I eat them fresh. Of course I give them to my family, friends, neighbors, massage therapist and horseback-riding instructor. I can lots of them -- another way to connect with the past because, honestly, who ever cans anymore? (Plus, there are few acts as divine as releasing the flavor and aroma of homegrown tomatoes into the kitchen in the dead of January as you pry open a mason jar full of canned goodness.) Over the years I've also developed many tomato-heavy recipes to make the best use of my fresh bounty. Homegrown tomato salad with feta and cracked black pepper is, naturally, one of these recipes. Actually, like so many things I cook during the summer, it is hardly a recipe at all. More of a sweet, salty melange of the best the garden has to offer. Just take a number of ripe, amazing tomatoes, mix them with whatever herbs you might be growing, throw in some feta or even ricotta salata, and there you have it. A "recipe" to highlight the summery boldness of your tomato crop...and a delicious way to make sure none of those vine-ripened beauties goes to waste. 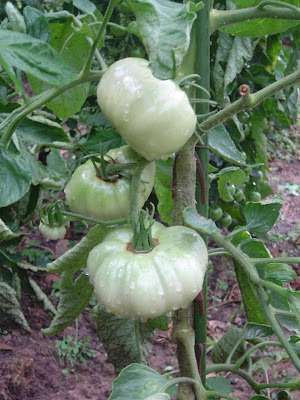 You will read a lot more in this forum about my tomato garden; today is just the beginning. Who knew a vegetable garden could be so inspiring? When Dad first taught me the Masterson Method of tomato gardening, I didn't know how what a big part this cultivation would play in my life. But each and every summer -- as Memorial Day approaches and I start turning over the soil, amending it and preparing it for tomato seedlings, and then as summer marches on with its heat and sun, and finally as August arrives and the multitude of green tomatoes take on their red glory and I begin picking, plucking fruits from the tall, heavy plants in the waning, cricket-filled shorter summer evenings -- I am grateful to carry on the Masterson family tradition of the tomato garden. And I'm grateful for the taste. Have I mentioned the taste? I made this recipe just this past week, while my dear Australian friends were visiting. As Kerrie gathered the herbs for the salad off the back porch, she remarked that she was happy to be here as I cooked something for the blog. When she arrives back home in a few weeks, she's looking forward to reading this post, having helped me in the kitchen when it was written. So a big hello to Kerrie and her husband Greg, who are not only more family than friends, but also the best and cheeriest house guests one can imagine. Plus, they got me a subscription to "Delicious" magazine! I mean, seriously, these are good people. This salad is even better the second day. Another note: considering the moisture content of the tomatoes, this salad gets very watery in the bottom of the bowl. I don't mind this, and simply serve the salad using a slotted spoon. To reduce the liquid, however, you could place the diced tomatoes in a wire-mesh strainer, salt them with about 1/2 t. of kosher salt and let them drain into the sink. Then add them to the rest of the ingredients and toss. There will still be a bit of liquid, but not quite as much. Once upon a time, in the small town of Hudson, Ohio, there was a restaurant. It was a very special restaurant, not just for its food and drink and ambiance (though those were extraordinary, too), but for its people -- owners, employees and patrons alike. It was like a second home, the place where we went to celebrate life's victories and mourn its defeats. It is hard to find a restaurant of such caliber, personality and meaning. But it is easy to wax nostalgic about it, especially now that it is gone. This August marks one year since The Inn at Turner's Mill closed its doors. The Mill, as we called it, occupied a historic mill building in downtown Hudson and was owned by the same delightful family from its opening in 1989 to its last hurrah in 2007. My family and friends went there when we were happy, we went there when we were sad. We went there on grand occasions, we went there on ordinary Tuesday nights. We went there after one of the family dogs passed away, to drown our tears in vodka and wine. We went there on September 11, as it was the only place that felt safe on that uncertain, terrifying day. We went there the night before Sister's wedding. Eight years later, we celebrated my rehearsal dinner there the night before I married Husband; I felt like I was welcoming friends and family from all over the country into my living room when they joined us in the bar that evening. Mom and I smoked cigars there while a brilliant trio played deep into the night. 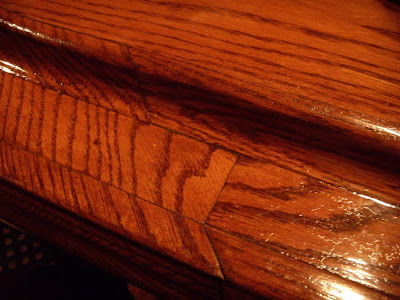 When Hudson suffered a 100-year flood in July 2003, which filled the lower tavern to the chandeliers with water, we patronized the Mill's temporary "bar" on the upstairs patio until the tavern could be rebuilt. We took friends there; we made friends there. Two tables at my wedding were filled with Mill patrons and employees. When the owners announced they were closing the restaurant, I went there each and every night until the doors were locked for good. It was the least I could do: I had to see the place out in style. I am a freaking surly, emotional mess of late. I have been since August 7. 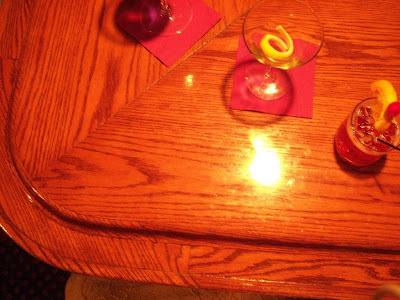 The reason: my favorite bar/restaurant is closing. And before you go thinking it's like my neighborhood Applebee's is shuttering, let me explain. Though it is not mine, it is "mine." It is "ours," mine and a spirited group of regulars' who could drink Norm, Cliff, Frasier and the whole damn Boston lot of them under the table any day. To say that my family has been patronizing this establishment regularly is putting it simply; more accurately, my family has chosen its hallowed, cozy, comfortable walls before, say, any number of substantial purchases and/or retirement plans that might have been realized in the absence of such a wonderful place.The Inn at Turner's Mill, we will miss you so. We will miss your warm, dark, welcoming glow. 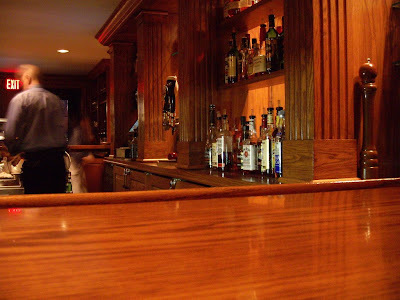 Your gleaming wood bar, and your deep, rich sandstone walls. Your 150-year-old construction, your shining and spotless hurricanes (how did the servers avoid fingerprints on those globes all these years?). Your port-in-a-storm hospitality. And your staff. Good lord, your staff. Who catered to our every whim, even when we must (surely!) have been drunk and perhaps moody. Many of you have become friends, good friends, the type of friends who won't disappear once the doors are locked for good. 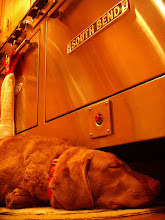 My father has said it best: there will never be another place that is as comfortable as the Mill. Denial. I received the call that the Mill was closing from my father, while standing in the check-out line at a local store. I was in such disbelief, the cashier had to ask me if everything was OK. I immediately drove over to the restaurant, in the hopes of learning the rumor wasn't true. It was. Anger. Ask my co-workers. And my husband. I have not been a pleasant occupant of space recently. 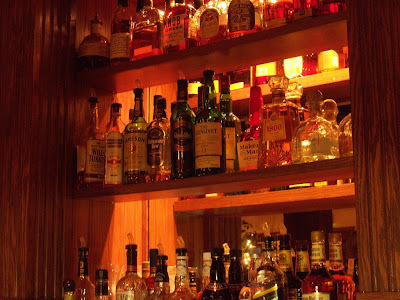 Favorite bartender Chris, who has admirably commanded the Mill's bar for many years, might be in his own anger stage right now, as last Friday he looked me in the eye and, flying in the face of the Mill's strict no-facial-hair policy, stated, "Know what starts today? MY GOATEE." A round of anger, on the house. Bargaining. "I promise to come here every night if you'll only stay open." Four nights a week wasn't enough; but I swear, I will take one for the team. Alas, I could eat lobster at market prices each Monday through Saturday, topped off by several glasses of Louis XIV, and I still would not be able to keep the doors open. The owner is ready to close. And that is that. Depression. When I got home from work yesterday, I was stricken by a sort of unwarranted malaise. Husband: "What's wrong?" Me: "I don't know. The Mill is closing. I want to take a nap." At the risk of offending those who have lost loved ones recently, or even not-so-recently, I sort of feel like there has been a death in the family. I might need that medication that, if you were represented by a frowny oval caricature, would make you into a smiley oval caricature. Acceptance. We were all at the Mill tonight, including my five- and two-year-old nephews, who love it there because of the fun service they get from favorite bartender Chris. The owner's mother walked over to say hello and my older nephew looked at her and said, "This place is turning into something else." My tears started flowing, but he had said it all. Last week, he wouldn't admit it was closing. He kept asking, "But when will it open again?" I think he gets it now, and so do I. A year later, the Mill's beloved employees and colorful cast of patrons have moved on to other restaurants and bars, but nothing quite fills the old haunt's shoes. Dad was right: nowhere else feels quite as comfortable. Though I remember the Mill so fondly for its people, the food was worth celebrating as well. The menu changed with the seasons; every three months I looked forward to new dishes lovingly created using fresh ingredients, some even grown on site in the restaurant's small garden. During the waning months of the Mill's existence, there was a pasta dish on the tavern menu that I ordered with great frequency. It seemed to go well with cosmopolitans. Cavatappi with chicken, fresh mozzarella, radicchio and a hint of pesto. I believe the original dish had shrimp, but seeing as how I have never been a shrimp fan, Bartender Chris always subbed chicken for me. Because he is Chris O'MotherfuckingHare, and he bends over backwards to provide good service. (Quite literally: he used to juggle lemons for my nephews when they would come into the restaurant.) Those last few weeks that the Mill was open, I subsisted on this pasta along with the aforementioned cosmopolitans and the occasional tasty shot. Come to think of it, this pasta is most likely the reason I did not keel over during that period of time; in addition to being delicious, this cavatappi creation soaks up liquor admirably. Which is not necessarily a high-priority characteristic that I look for in good food, but is a property that comes in rather handy when one's favorite restaurant is closing and one's alcohol consumption skyrockets as a result. I'm just saying. 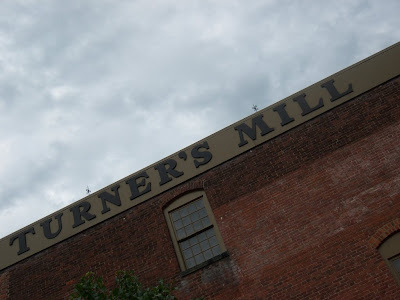 I realize that most of you do not have such a strong personal connection to The Inn at Turner's Mill. Even so, give this pasta dish a shot. Whether you are happy, sad, drinking, teetotalling, whatever, it is a wonderfully hearty late-summer meal. And if you're in a hurry, you don't have to make the pesto from scratch (though I'd recommend it). This dish would be just fine with a quality store-bought pesto. The pleasing sharpness of the radicchio is just right with the creamy and subtle sweetness of the fresh mozzarella -- and the smoky edge of the grilled chicken is a marvelous foil to the herb-y, garden-y basil pesto. And it all would have gone better with a side order of Turner's Mill but alas...you can't always get what you want. At least not after August 18, 2007. This recipe is especially quick and easy if you've made the pesto ahead of time. You can even grill the chicken beforehand, then warm it through before adding it to the final dish. Prepare the chicken. Place the chicken breasts on a plate or in a shallow bowl and coat both sides evenly with the olive oil, salt, pepper and rosemary. Let the chicken marinate for about 20 minutes, then cook the chicken on a grill or in a grill pan until the internal temperature registers at 161 degrees Fahrenheit. Don't be afraid to get a little char and golden brown color on the chicken; it adds a wonderful smokiness to the dish. When the chicken is cooked, remove from the grill and set aside. Place a large pot of salted water over medium-high heat and bring to a boil. While you wait for the water to boil, place 1 t. olive oil, the sliced radicchio, salt and pepper in a medium skillet and sauté briefly for 4-5 minutes. You want to wilt the radicchio slightly but allow it to retain some of its lovely purple color and crunch. Remove from heat and place in a large serving bowl. Chop the chicken into bite-sized pieces and add to the serving bowl. Garnish with grated Pecorino and serve immediately. Serves 4. Or, maybe just 2 if you're both drinking and excessively hungry. The fridge, the freezer, the pantry and...the garden! I am a big fan of cooking from nothing. Which is to say, using up random ingredients from the fridge, freezer and pantry to make something new and often unexpected. I come up with many delicious dishes that way; I enjoy the intense satisfaction of consuming my stores, of not allowing things to go bad, of tapping my culinary creativity and resourcefulness in new and exciting ways. A few weeks ago I did something marvelous with chickpeas, pistachios, oregano and garam masala. What began as a pantry-cleaning exercise ended with a good and nourishing meal. I love cooking on the fly, creating meals without having to run to the grocery store. Which could explain why I used to watch Ready, Set, Cook! so frequently back in the mid-'90s glory days of the Food Network (though Sissy Biggers was totally annoying). Cooking from nothing is a year-round hobby. However, summer elevates this art form to an entirely new level: when I'm inspired to cook from nothing in July and August I can draw from the fridge, the freezer, the pantry and...the garden! In the summer, cooking from nothing benefits greatly from the shot of freshness that only a lush backyard garden can provide. Some cooking-from-nothing dishes are one-off opportunities, not to be replicated again until such time as the random disparate ingredients again find themselves lurking around the house. But every so often what begins as a thrown-together, whatever-is-in-the-house "recipe" becomes, over time, an Actual Recipe that I cook over and over again. Every so often, orphaned ingredients create a truly winning flavor combination, a meal to which I return time and again. So it is with today's gem, couscous with cubanelle peppers and fresh mozzarella. 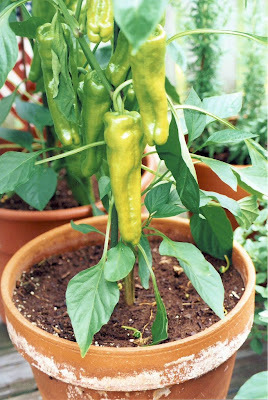 I first made this dish several summers ago, when my bountiful cubanelle peppers were ripe for the picking, weighing down their respective plants with their gorgeous light green selves and pleading with their tiny little imaginary pepper-voices: "Pick me! I'm ready!" So I harvested. And got to rooting around the kitchen to see what else I had that would complement the peppers. I found some onions, Pecorino (I always have some Pecorino on hand; I cannot live without it), some fresh mozzarella cheese, almonds in the freezer, a few homegrown tomatoes, a Mason jar brimming with couscous. I diced the peppers and onions into the teensiest dice, sauteed them until their flavors mingled subtly and perfectly, then tossed them and the other found ingredients with the cooked couscous. The dish was flavorful, sunny and impossibly fresh-tasting. I was so pleased with the result I made a mental note that this concoction was worth remembering for the next time the cubanelles were ready. Served warm, couscous with cubanelles and fresh mozzarella is a meal unto itself. At room temperature, it is a perfect salad to round out a summer meal of grilled chicken or cedar-planked salmon. It's tasty the next day -- and the day after that -- as the flavors mellow and really start getting to know each other. It's also a perfect lunch; just grab it on your way out the door and make your fast-food scarfing co-workers jealous. In addition to using my homegrown cubanelles in the couscous, tonight I used a variety of onion called "candy" that I picked up at the local farmers' market last week. See, I'm raiding my own larder, as well as that of others! Additionally -- and rather appropriately -- I didn't happen to have any couscous on hand this evening. But in the true spirit of cooking from nothing, I did have at least a pound of Israeli couscous just sitting in a big jar waiting for genius to strike. So tonight it took the place of its smaller-"grained" cousin. Cooking from nothing, you are so much fun and so very satisfying. This recipe halves quite easily. Bring 4 cups of water to a bowl in a large saucepan. When the water is boiling, add the couscous and stir briefly. Reduce heat to a simmer and cover partially until the water is completely absorbed, about 10-15 minutes. Place the cooked couscous in a large bowl and mix with 3 T. of the olive oil. Set aside. Place the remaining 3 T. olive oil in a large, heavy skillet. Sauté the onion, cubanelles and green peppers until the vegetables are translucent but still slightly crunchy. Stir in the kosher salt and black pepper. Remove from heat and add the pepper mixture to the couscous; stir to combine. Return the skillet to the stove and toast the almonds over medium heat for 2-3 minutes, then add the toasted almonds to the couscous mixture along with the oregano, basil and Pecorino. Toss to combine. Let the couscous stand for about 5 minutes to cool slightly, then add the tomato and fresh mozzarella cheese just before serving. Taste and adjust for salt and pepper, adding a pinch more if you think it needs it. Garnish with a little extra grated Pecorino. Can be served hot or at room temperature.